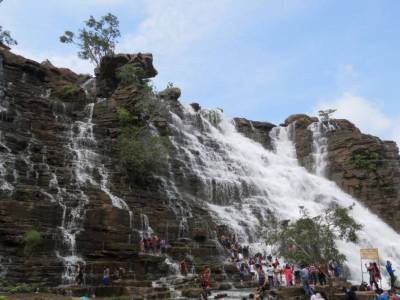 The Tirathgarh Waterfalls is situated at a distance of 35 KM road drive from Jagdalpur, in the south-west direction and lie within the boundary of the Kanger Valley National Park. The waterfall has an approximate height of 300 ft. and is situated in the Kanger Valley National Park. This is a huge waterfall with milky water. The water falls from 91 meters but its staircase-step, structure makes it less violent and gives it an amazing look. This place is an ideal as picnic spot. Unlike the Chitrakoot falls where the water is muddy after the rains here the water is fully white. Explore the rugged beauty of the lofty mountains romancing the shimmering waterfalls. 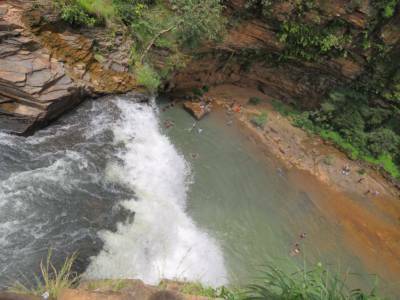 Travelers can go near the falls and can have a bath also and get drenched with the spray of the falls. If you are near the Waterfalls which is a heavenly feeling. There is also a way to go till the top of the waterfall using the rocks as stair steps. 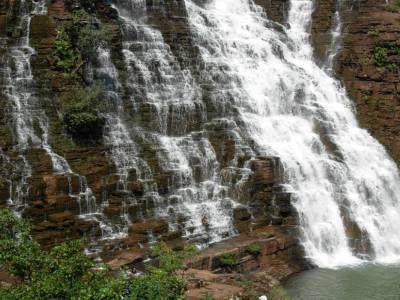 Overall a very nice falls and a must visit place if you are visiting Jagdalpur. A trip at least 4-5 hours is a must and very near to the Kotumsar Caves. 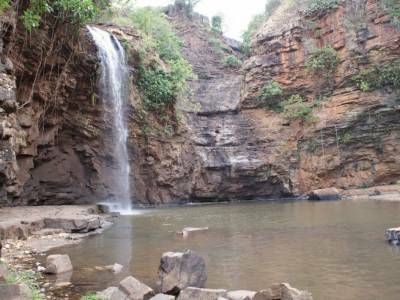 Tourists can reach this waterfall by availing the State Highway buses or private taxi/cab between Jagdalpur and Sukma. 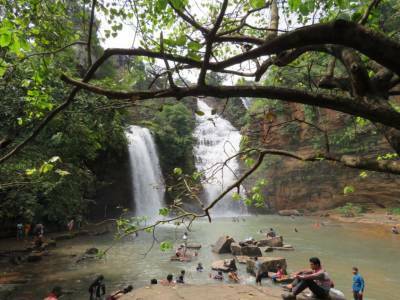 Get quick answers from travelers who visit to Tirathgarh Falls.